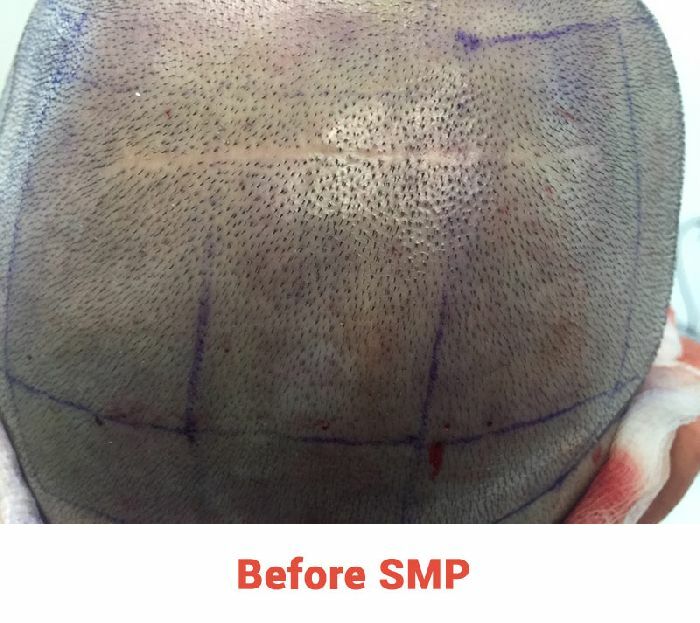 These pictures represent the patient’s results immediately following his scalp micropigmentation procedure (SMP). Dr. Cole later performed CIT FUE into the same area. The patient’s goal is to conceal a strip scar resulting from a previous FUT. 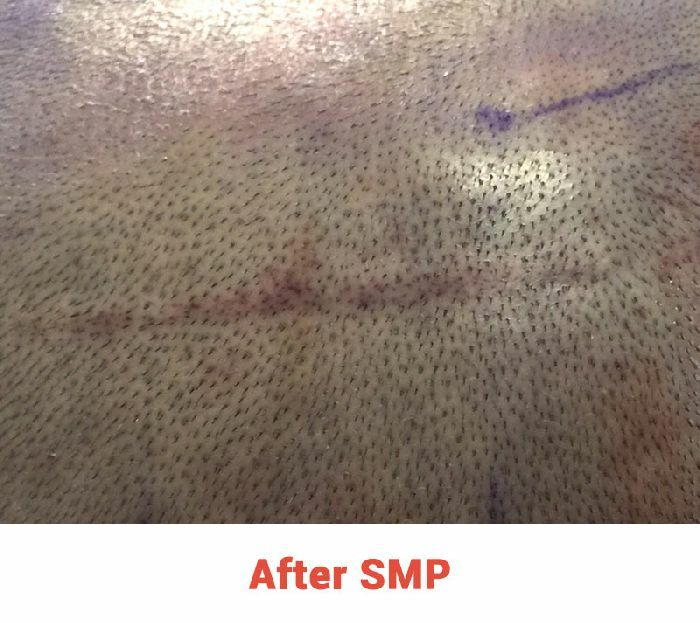 Dr. Cole used a needle that was approximately 0.5mm when performing SMP. Scars are vascular in nature; and therefore, the scar has a pink tint that will diminish over the next few days.